S.N.M. Polytechnic was established in 1984 to impart quality technical education to the students from rural area in various fields of engineering. Due to rapid industrial growth, there is an increased demand for technical manpower all over the country and abroad. To meet this demand this Polytechnic offers structured three year diploma programmes with the right mix of theoretical knowledge, honed by practical skills in seven streams. The institution is named after late S.N.Moodbidri, the great philanthropist, who dedicated his life to the service of society. The Polytechnic is jointly sponsored by the Academy of General Education (A.G.E.) 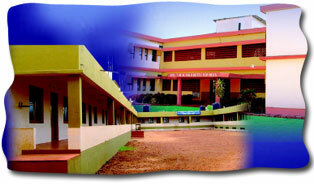 Manipal and S.M.C. Trust, Moodbidri. The A.G.E. Manipal is a constituent of prestigious Manipal Group which holds a number of educational, financial and industrial institutions of international reputation. The S.M.C trust has dedicated itself for imparting higher education and developmental programmes since 1965. The campus has a first grade collage, an industrial training center and a college of Physical Education managed by the Academy of General Education and S.M.C. Trust for the past few decades. To impart quality technical education based on values and backed by strong industry links to shape quality careers for the rural youth community. TO promote self employment by including skill based technical courses. To offer extension services to the working community and the industries in the vicinity, in the engineering arena like automotive maintenance and repairs, computer training, electronic gadget's maintenance and servicing, general engineering works etc. The Polytechnic is a slef-financing (Partially aided by the start Govt.) institution recognized by AICTE, New Delhi and affiliated to Department of Technical Education (D.T.E),Govt.Of Karnataka. The institution is spread over an area of 16 acres of campus which is an abode of knowledge, values instead of virtues. It presents a spectacle of harmony in modern architecture, natural beauty and picturesque surrounding with all infrastructure and basic amenities. It includes well furnished class rooms, drawing halls, laboratories adequately equipped as per AICTE norms, modernized computer section with internet facility, workshops, library, service station etc. Separate hostels for boys and girls, bank, post office, public call office, canteen, co-operative stores which are in proximity to the learning section/main building of the institution. Today the polytechnic is one of the reputed polytechnics in the state known for its quality educational standards. A student shall conform to high standards of discipline and shall conduct himself/herself, within & outside the precints of the institution, in a manner the student of an institution of high reputation. He/She shall have the seriousness of purpose and shall in every way train himself/herself to lead a life of earnest endeavor and cooperation. The Polytechnic treats ragging as a cognizable offence and stern action will be taken against the offenders. Every student is expected to familiarize himself/herself with the rules laid down in the Polytechnic calendar. Each student will have to abide by the rules and regulations of the institution and any breach of discipline shall be suitably dealt with. Attendance as per the B.T.E rules should be earned by the student. Shortage of attendance will not condoned. Periodic tests will be conducted as per the calendar of events. The test and the attendance report shall be sent to the parents/guardians regularly. The calendar of events book will be made available to every student during the beginning of the odd semesters. This book contains all the schedules related to academics of the Polytechnic. The calendar also contains an 'absence format' and institution demands a major concern and cooperation from every parents/guardian towards this format in safeguarding discipline and ideals of institution.